Dr. Moses Elisaf graduated from the School of Medicine, University of Athens in 1979. He worked at the Institute of Lipids and Atherosclerosis Research, Sheba Medical Center, Tel Hashomer, Sackler School of Medicine, University of Tel-Aviv, Israel (1993-1994). 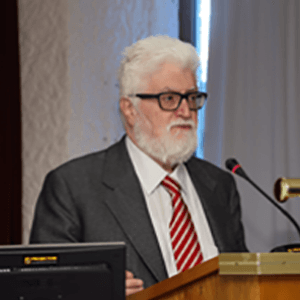 Currently, he is a Professor of Internal Medicine at the University of Ioannina, Medical School (Ioannina, Greece) and Director of the 2nd Department of Internal Medicine. He is also Head of the Lipids, Atherosclerosis, Obesity and Diabetes, Department of the University Hospital of Ioannina. Dr. Moses has taken the Clinical Hypertension Specialist from the European Society of Hypertension. He is an active member of about 27 medical societies, including the European Hypertension Society, European Atherosclerosis Society and the International Society of Hypertension. Additionally, he is the President of the Greek section of the American Society of Angiology. He is a member of the Council of the Hellenic Atherosclerosis Society. He is Vice President of the Institute of Study, Research and Training for Diabetes Mellitus and Metabolic Diseases. Professor Elisaf is the editor in chief and member of the editorial board of 40 recognized medical journals. Furthermore, he is a referee of about 118 international medical journals. He has organized many congresses and symposia in the field of Hypertension, Dyslipidemia, Atherosclerosis and Prevention of Cardiovascular Disease. He was the Chairman of the Satellite Meeting on Secondary Dyslipidemias of the European Atherosclerosis Society (EAS) 1999 symposium. He has participated in many International Multicentre Clinical Trials related to the treatment of hypertension, dyslipidemias, diabetes and other cardiovascular risk factors. Dr. Moses Elisaf has authored more than 600 peer-review papers in basic and clinical research in the field of Hypertension, Lipids and Atherosclerosis as well as an acid - base and Electrolyte Disorders. He has organized and coordinated many educational seminars and scientific symposia on dyslipidemia, hypertension, diabetes, metabolic syndrome, Acid –base and Electrolyte Disorders etc. He participates as a President as well as a speaker in many International, European and Greek congresses organized by the Hellenic Atherosclerosis Society, European Atherosclerosis Society and other medical Societies. He has also authored three scientific text books for diagnosis and treatment of hypertension, dyslipidemias as well as electrolyte disorders. Professor Elisaf is President of the Jewish Community of Ioannina and he was also President of the Cultural Center of the Municipality of Ioannina as member of the City Council.